How DO you print and cut a traveler’s notebook? 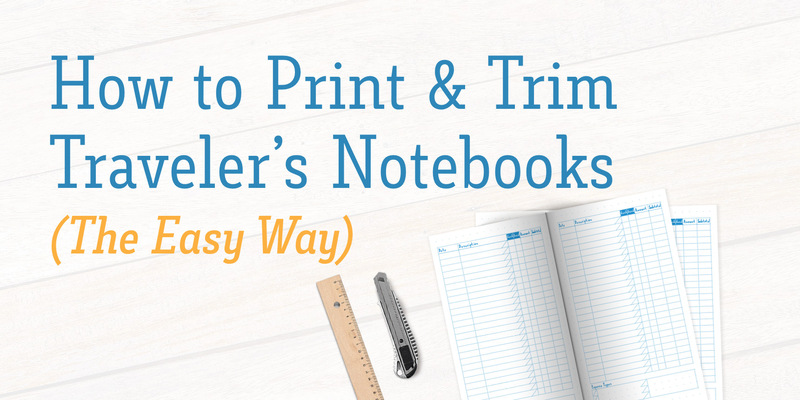 Well, with your printable file set up correctly, it is super simple and takes just a few steps. It doesn’t matter what size insert you are trying to create, they all work the same. It’s pretty much a given that all traveler’s notebook inserts for Midori, Fauxdori and Foxy Fix (the list goes on) are saddle stitch bound. The saddle stitch is a term from way back when, but what it generally means to you is sheets that are printed double sided, folded and inserted into one another. The alternative would be perfect bound, where each sheet is entirely individual and they are all hot glued on one edge (think your typical paper back book or magazine).